I shy away from saying it’s never too late. It’s not to late to be the best version of me. It’s never too late to put on my sneakers and go for a run. If you run, you’re a runner, no matter how fast or slow you are. What are you going to do today to be the best version of you? What project are you putting off that you can get done? What leap are you afraid to make? A few years ago I was stuck. I had a new baby, and felt like I wasn’t contributing to anything but her ever growing chubby rolls. 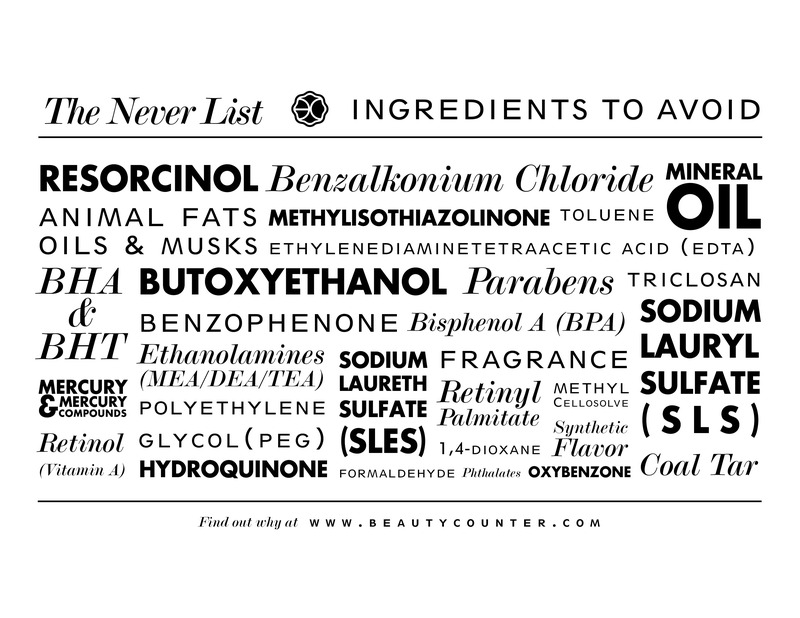 I was learning about all the potentially harmful ingredients in the products in my home (that I was now spending too much time in). I felt overwhelmed to act. I found an amazing community in Beautycounter. An amazing tribe of women all set on making a difference and advocating for change. I never thought of myself as a skincare or cosmetics person, and I would never have thought this would be my home. But it is. It’s never too late to rediscover yourself. To find what you’re here to do. To make a significant income while snuggling your babies. I’m not only making my household healthier by reducing our exposure to known carcinogens and endocrine system disruptors, not to mention allergens, I’m making my community healthier and urging congress to act on our behalf and update the less than two page law governing the multi-billion dollar industry. The last time this was addressed? 1938. Are you kidding?? It’s time to make a difference for sure. Absolutely. Join the movement. This was a no brainer for me. I’m here to help you all the way. Host a social- let’s meet in person or online with your friends and I’ll share what I’ve learned, product recommendations and samples and answer any questions people have. Depending on sales, you’ll earn some great rewards! #switchtosafer and try Beautycounter today– with a 60 day empty bottle guarantee, there’s no reason not to give safer beauty a try. There’s something for everyone, and I’m happy to answer any questions or put together an order for you- just shoot me a message! voices. We all deserve better, and it’s never too late.